I have spent a lot of time in the last week crying at the telly. Who knew that the achievements and disappointments of the Olympic athletes could have such an emotional impact? 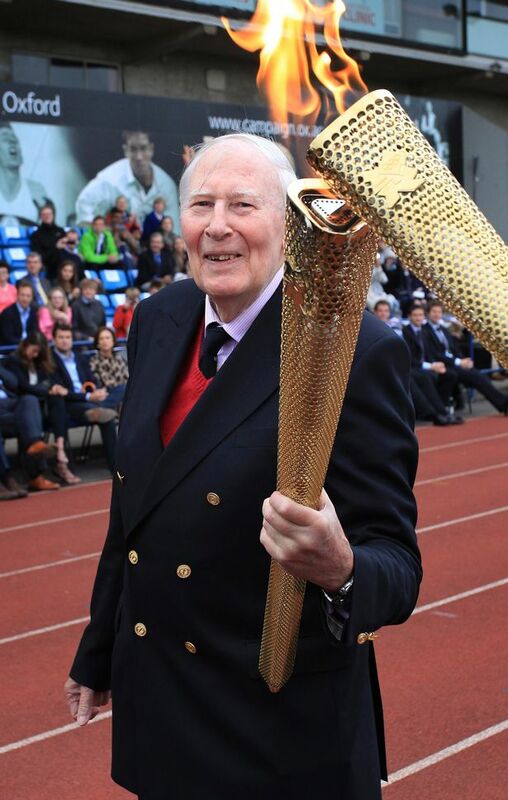 My first Olympic emotional moment was when I saw Roger Bannister carrying the Olympic torch across the finish line of the Oxford track where 58 years ago he became the first runner to run a mile in under 4 minutes. Roger is now 83 and you can see his somewhat slower stint on that famous track and an interview here. On 6 May 1954 Roger Bannister ran the first ever mile in under four minutes. This, at the time was an incredible feat as athletes had tried to break through this time barrier for years and years. Some experts even said that it was physically impossible, that the human heart would explode under the pressure to run a mile in under four minutes. There are several things that I love about this breakthrough story, firstly that Roger wasn’t a professional runner, he was a medical student and he just ran for 45 minutes every day. Secondly, he believed absolutely that he could run a mile in under four minutes. When asked how he did it he said, “ it’s the ability to take more out of yourself that you’ve got”. Within 2 months of Rogers’ record, Australian John Landy set a new sub four-minute mile record. The next year, 37 other runners ran miles in under four minutes. In fact, since 1954 hundreds of runners have broken this record. There were no great training breakthroughs, human bone structure, lung capacity and heart performance didn’t suddenly improve. So what happened? Roger believed he could do it; he focused and did better than his best. Rogers belief raised the bar enabling others to also believe they could do it. I think that belief was absolutely key to Roger achieving his breakthrough success. So when I saw Roger carrying the torch last week I welled up. For me Roger Bannister is much much more than a person who ran the first four-minute mile. Roger Bannister showed others that something that ‘experts’ had believed impossible was possible. By doing this he allowed others to believe that they could do the impossible too. Apply this principle to your fundraising or other areas of your life where you want to make great achievements. Next time you are attempting a seemingly impossible task, remember Roger. First published as a guest blog by the Fundraising Detective. This entry was posted in fundraising, Innovation, Inspiration, London2012, passion, remarkable, story and tagged 4 minute mile, breakthrough, John Landy, London2012, Olympics, Oxford, Roger Bannister, running, torch. Bookmark the permalink.